During the starting pilot phase of the practice, in 2014, CarbonSink has registered three Gold Standard cookstove projects. Gold Standard is one of the most known Carbon Standard to certify carbon credits in the voluntary market. 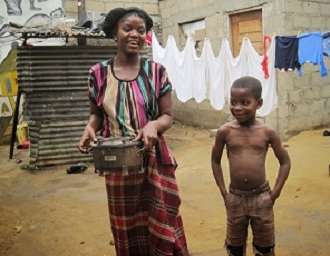 All of the projects were implemented in urban areas in the capital city of Mozambique, Maputo, and altogether they have included the distribution of 5,000 improved cookstoves in the quarter of Chamanculo C during the years 2014−2015. The implementation of the project in the field including the stove distribution and monitoring activities were conducted by an Italian NGO, called AVSI Foundation. The area of Chamanculo C is characterized by severe social and environmental issues, including high population density, lack of basic services and a high density of inefficient charcoal stoves used for cooking activities. With the replacement of the inefficient cookstoves, the projects are aiming at promoting energy efficiency, conserving natural resources and improving the population living conditions. Essential support for the implementation of the project under the PoA has been given by the Nordic Environmental Finance Corporation (NEFCO), which has committed to buying all the carbon credits achieved by one of the projects, guaranteeing financial support to the continuation of the activities in the field. The credits bought by NEFCO will be used for compensating part of the emissions of Norway under its commitment to the Kyoto Protocol. The last step taken under the Clean Development Mechanism scheme is represented by a new cookstove project implemented in the city of Pemba (Northern Mozambique), which is currently under the validation process. This project will include the distribution of 6,500 sustainable stoves, in part locally made. Therefore, through the local capacity building of the population and the propagation and transfer of technology, a further positive impact is added to the practice, contributing to rising the local know-how. The cookstove model used in this project is one of the most efficient cookstoves in the world, and it can save up to 50% of the charcoal compared with the traditional charcoal cookstoves currently used in the area. Thanks to this innovative technology, families are saving money, as less charcoal is needed to be purchased, releasing important economic resources for other purposes. Other significant co-benefits are the reduction of the deforestation rate caused by the charcoal production, and the improved air quality in the domestic environment as less charcoal is combusted for cooking purposes. The combustion of charcoal causes smoke emissions which are responsible for causing high number of respiratory infections, especially within women and children. At the economic level, new job opportunities have been created for stove distribution and reparation activities as well as for the project monitoring activities. 2. as one of the most interesting mechanisms in developing countries; in fact, the generated credits have been bought by NEFCO at a higher price, compared to the current value of the market. • Time savings as less time is needed for both fuel purchasing and cooking activities. Women can spend more time in other domestic tasks such as education and upbringing of children. • Reductions of the negative effects caused by the deforestation and charcoal production activities on population. • Poverty rate reduction: greater financial resources due to the lower annual expenses used for the purchase of charcoal. • The recruitment of locals for the distribution of the new cookstoves. • Improving the living conditions: lower incidence of respiratory diseases caused by smoke emissions present in the domestic environment. • Reduced burns and injuries caused by the exposure to open fires. Cost of realisation The cost of realisation in terms of amount of money spent to realise the project is around 500,000 euros. Cost of implementation The cost to implement the practice, according to the different geographical areas, hence subject to local consideration, is around 300,000 euros. Financial aid (expected contribution) CarbonSink is expecting to obtain a contribution through a new deal of credits generation and selling, resting on a result based finance model.